Protecting your family from potential diseases and other health problems isn’t easy. For most people that means focusing on healthy habits, getting plenty of exercise, and enjoying a wholesome diet. Another way you can help boost your chances of living a full and healthy life is by choosing beneficial supplements to add to your diet. Some vitamins and supplements can actually also reduce your risk of getting cancer. Here are some of the top supplements and vitamins you should be taking to lower cancer rates. The first ingredient or supplement you should be adding to your diet is selenium. Selenium is naturally found in some foods with whole grains and Brazil nuts. Most people don’t eat Brazil nuts each day, so you can boost your chances of getting the benefits from this compound by taking a selenium supplement. Some scientists have found a link between increases in selenium in the diet and a reduction in the risk of getting liver, lung, colon, and esophagus cancer. The reason the risk lowers is because of selenium’s ability to remove harmful free radicals from the body. Next, try learning about the benefits of Vitamin E to your body and adding this incredible ingredient to your daily menu. If you want to get this vitamin naturally, try eating foods like olive oil, almonds, broccoli, avocado, beans, and spinach each day. Most complete multivitamin supplements will also have the recommended daily value of Vitamin E. This vitamin helps improve the feel and look of skin, hair, and nails. But it’s also becoming clearer that Vitamin E may help protect the body against cancers such as prostate, colon, and lung. Another top vitamin you should be taking on a daily basis for health benefits is Vitamin D. Being deficient in Vitamin D is associated with a long list of health problems, including potentially developing breast cancer. Vitamin D also helps the body absorb calcium and enjoy the benefits of that supplement. If you need more Vitamin D in your body, eat foods such as milk, cheese, yogurt, fatty fish, or eggs. Vitamin D can also be found outside by going out into the sun periodically. Instead of one compound, Vitamin B is actually a wide array of many different minerals and supplements. The list of B vitamins includes Vitamin B6, Vitamin B12, folic acid, riboflavin, and more. Some doctors recommend patients take a supplement that covers all of these vitamins, such as Vitamin B Complex. Taking these vitamins and eating foods rich in the compounds may help your body fight against some cancer-causing agents like inflammation and free radical damage. 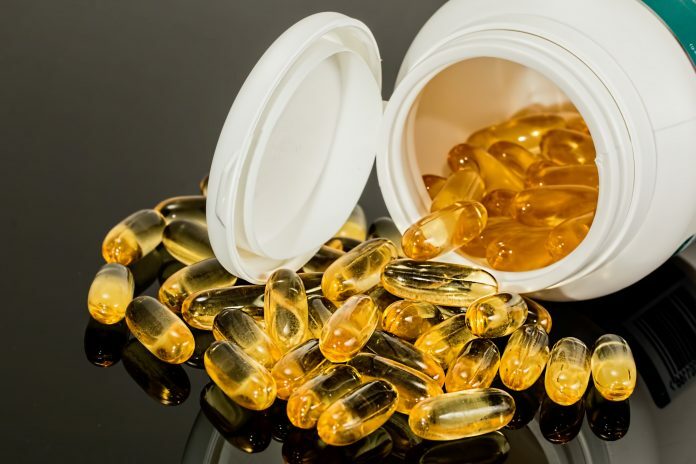 Health professionals and top companies that focus on cancer research, such as Harry Stylli and OncoCellMDx, also recommend fish oil supplements for cancer prevention. Eating foods high in omega-3 fatty acids is a great way to get this ingredient naturally in your diet. Look for flax seeds to add to your cereal and other dishes to get a quick boost of this compound, or try ingesting fatty fish each week through your meals. The last type of supplement you should be taking to help lower your risk of a future cancer diagnosis is something called curcumin. This brightly-colored yellow spice is not commonly known as something that has health benefits, but research is producing some promising results. It’s a type of ginger, and it can be finely grounded and added to food as a spice or taken as a separate supplement pill. Some studies have shown curcumin is beneficial in protecting the body against blood, skin, and lung cancers. Talk to your doctor to develop a plan of attack with vitamins and supplements to protect yourself against health issues like cancer. Then, add some of these ingredients to your daily routine to give yourself a boost.